Animals are beginning their latest offensive in operation "F" with people. Oh, it's a coordinated attack, be sure about that. First snakes went out of control. Then a sting ray killed the crocodile hunter. 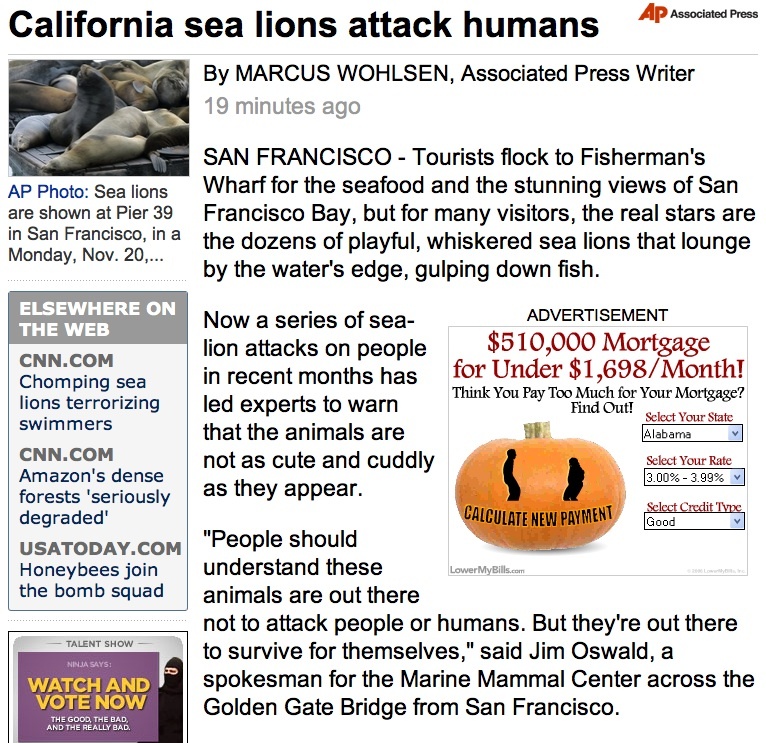 Now rougue Sea Lions are attacking people as they swim. Well, I hope we are all happy. We brought this on ourselves. 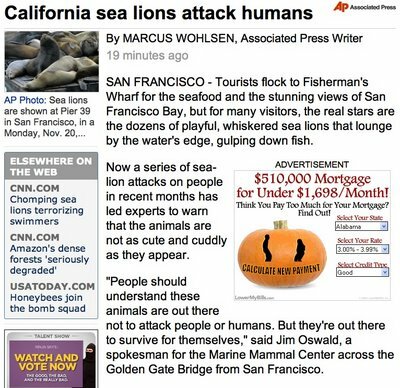 Over fishing takes away the sea lion's natural food source, so of course, they turn and try and eat us. Please take down those pictures of "backne".